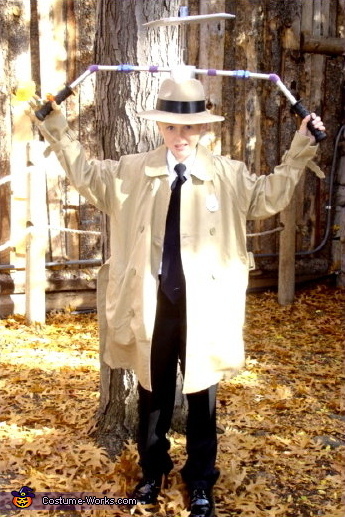 Here is Colby one more time as Inspector Gadget! From what I am told by the Costumes Creator, (Colbys Mom, Melissa) the helicoptor blades actually spin (by motor). ALSO, Inspector Gadget has a "Hand" with different items coming out of each finger.. Such as a toothbrush, mini umbrella, and a flame made from tissue paper. Thanks very much for your entries.